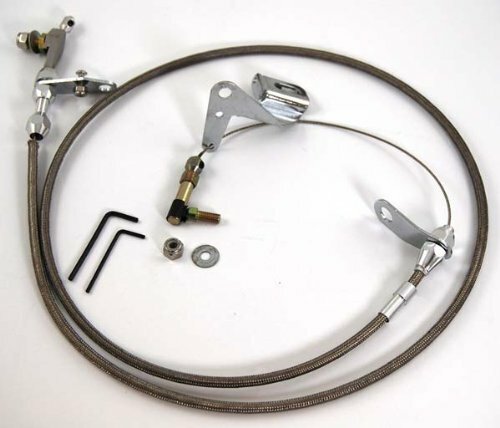 Lokar Hi-Tech Kickdown Kit for Chrysler 727 Transmission is designed with a specially extruded liner for extended life of the cable, not to be confused with ordinary brake hose. The kickdown features aluminum fittings with ferrule to eliminate frayed cable ends. The kickdowns are adaptable for all types of manifolds including tunnel ram, blower manifolds and Weber induction systems. The kickdown can be mounted with Lokar's stainless steel carburetor bracket and return springs (which are sold separately). All units are available in black housing upon special request. It has complete instructions which are included in the kit. Lokar Hi-Tech Kickdown Kit for ford AOD Transmission is designed with a specially extruded liner for extended life of the cable, not to be confused with ordinary brake hose. The kickdown features aluminum fittings with ferrule to eliminate frayed cable ends. The kickdowns are adaptable for all types of manifolds including tunnel ram, blower manifolds and Weber induction systems. The kickdown can be mounted with Lokar's stainless steel carburetor bracket and return springs (which are sold separately). All units are available in black housing upon special request. It has complete instructions which are included in the kit. 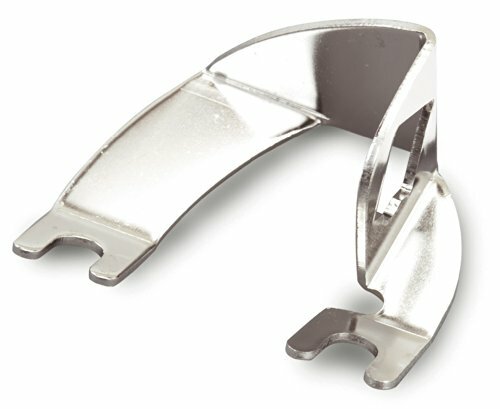 Lokar Stainless Steel Kickdown Bracket for GM TH-350 Transmission has been manufactured with the highest quality, exceeding industry standards, raising the bar for quality products and leading the way for a better automotive aftermarket. Lokar dedicates itself to providing all customers with original and innovative products. This dedication has translated into an unwavering reputation that Lokar is proud of. When one builds a company on Honesty, Integrity and Class, everything else falls into place. Lokar is a name built by the customers. Lokar Hi-Tech Kickdown Kit for Chrysler 904 Transmission is designed with a specially extruded liner for extended life of the cable, not to be confused with ordinary brake hose. The kickdown features aluminum fittings with ferrule to eliminate frayed cable ends. 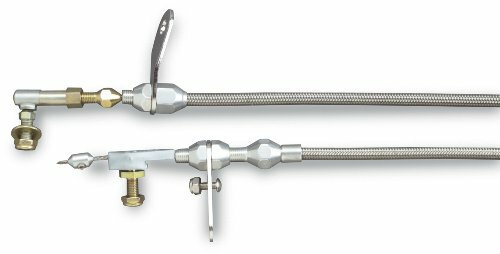 The kickdowns are adaptable for all types of manifolds including tunnel ram, blower manifolds and Weber induction systems. The kickdown can be mounted with Lokar's stainless steel carburetor bracket and return springs (which are sold separately). All units are available in black housing upon special request. It has complete instructions which are included in the kit. 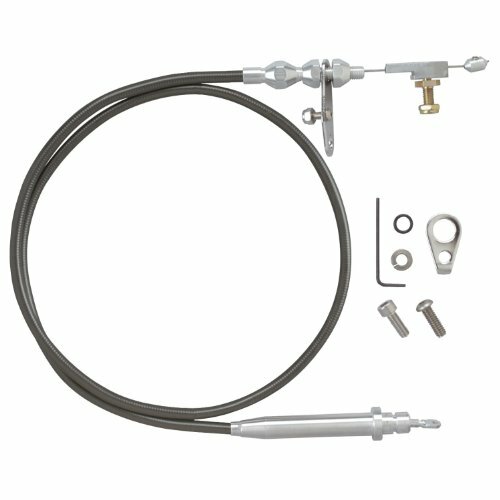 Lokar Hi-Tech Kickdown Kit for GM 700-R4 Transmission is designed with a specially extruded liner for extended life of the cable, not to be confused with ordinary brake hose. The kickdown features aluminum fittings with ferrule to eliminate frayed cable ends. The kickdowns are adaptable for all types of manifolds including tunnel ram, blower manifolds and Weber induction systems. The kickdown can be mounted with Lokar's stainless steel carburetor bracket and return springs (which are sold separately). All units are available in black housing upon special request. It has complete instructions which are included in the kit. Lokar Hi-Tech Polished Kickdown Cable for ford AOD Transmission adds more shine to your engine compartment. It has a specially extruded liner for extended cable life. It has polished aluminum fittings and polished ferrule that helps eliminate frayed cable ends. It has stainless steel housing. It is adaptable for all types of manifolds. It is made in the U.S.A. It has a lifetime warranty. Lokar Hi-Tech Kickdown Kit for GM Powerglide Transmission is designed with a specially extruded liner for extended life of the cable, not to be confused with ordinary brake hose. The kickdown features aluminum fittings with ferrule to eliminate frayed cable ends. The kickdowns are adaptable for all types of manifolds including tunnel ram, blower manifolds and Weber induction systems. The kickdown can be mounted with Lokar's stainless steel carburetor bracket and return springs (which are sold separately). All units are available in black housing upon special request. It has complete instructions which are included in the kit. 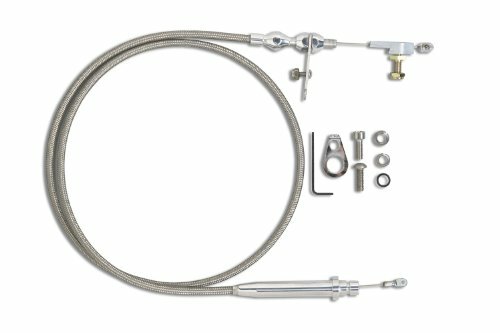 Lokar Hi-Tech Kickdown Cable Kit for GM 200-4R Transmission is designed with a specially extruded liner for extended life of the cable, not to be confused with ordinary brake hose. The kickdown features aluminum fittings with ferrule to eliminate frayed cable ends. The kickdowns are adaptable for all types of manifolds including tunnel ram, blower manifolds and Weber induction systems. The kickdown can be mounted with Lokar's stainless steel carburetor bracket and return springs (which are sold separately). All units are available in black housing upon special request. It has complete instructions which are included in the kit. 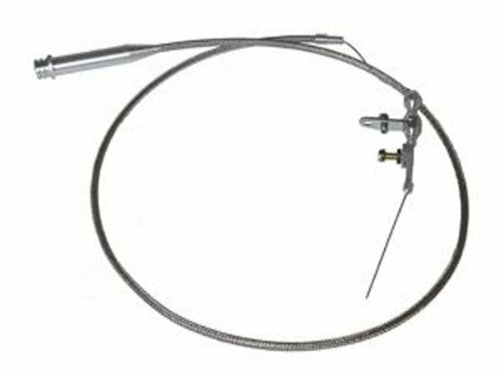 Lokar Hi-Tech Polished Kickdown Cable for Chrysler 727 Transmission adds more shine to your engine compartment. It has a specially extruded liner for extended cable life. It has polished aluminum fittings and polished ferrule that helps eliminate frayed cable ends. It has stainless steel housing. It is adaptable for all types of manifolds. It is made in the U.S.A. It has a lifetime warranty. Don't get stranded by your old fuel pump! These BD Diesel fuel pump shut down solenoids are designed to replace the factory 12 V solenoids that over time will stop functioning. They include new mounting brackets and hardware to fit right into the stock location. 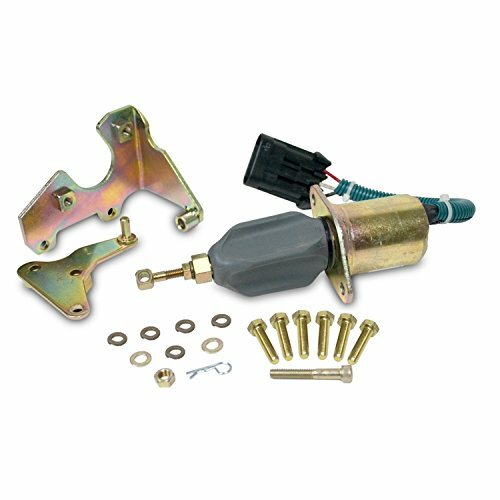 Lokar Hi-Tech Kickdown Kit for GM 700-R4 Tuned-Port Transmission features the tuned-port throttle cable, kickdown and bracket which work together as a complete system. The billet aluminum bracket mounts to the side of the tuned-port plenum. The billet aluminum bracket is available with a single stud for throttle only. It has double studs for throttle and kickdown, and triple stud for a throttle, kickdown and cruise control cable. The tuned-port throttle cables and kickdowns are designed with the same quality as the carburetor applications. Each item is sold separately. The cable bracket fits both early and late throttle bodies. 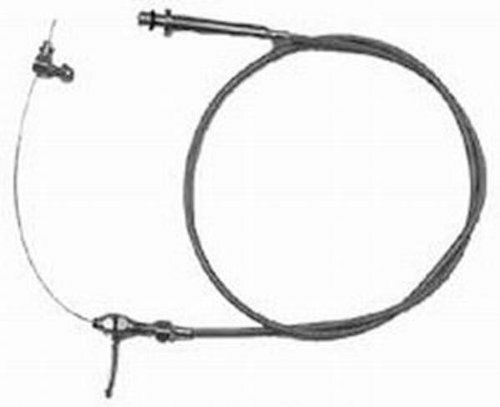 Lokar Hi-Tech Polished Kickdown Cable for GM 350 Transmission helps to add more shine to your engine compartment. It has been designed with a specially extruded liner for extended life of the cable. It should not be confused with an ordinary brake hose. The kickdown features polished aluminum fittings with a polished ferrule to eliminate frayed cable ends. The kickdowns are adaptable for all types of manifolds including the tunnel ram, blower manifolds and Weber induction systems. The kickdown can be mounted without a stainless steel carburetor bracket and return springs (which are sold separately). All units are available in black housing upon special request. The complete instruction kit is included. 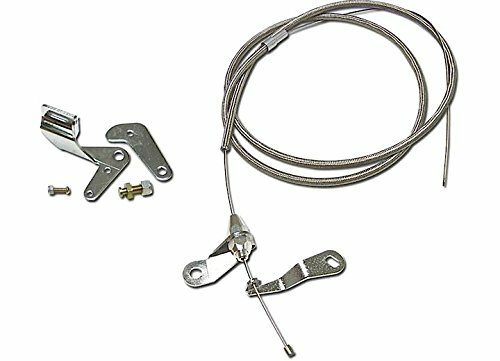 Racing Power R6051 700R4 Stainless Kick Down Assembly. Product Dimension (LxWxH): 9.75x13.6x1.15. Mopar Kick down Lever for A-904 and A-727. This special 5:1 ratio Kick down Lever can be used as a replacement on the 426 HEMI transmission. Speeds up front band actuation on other A-904 and A-727 transmissions to firm upshifts. This item may interchange to the following part numbers from other brands. This is provided for reference only and does not guarantee that the part your are buying is identical to the part numbers from the brands listed below. To confirm that this part fits your vehicle, enter your vehicle's Year, Make, Model, Trim and Engine in the Compatibility Table or Contact Us. 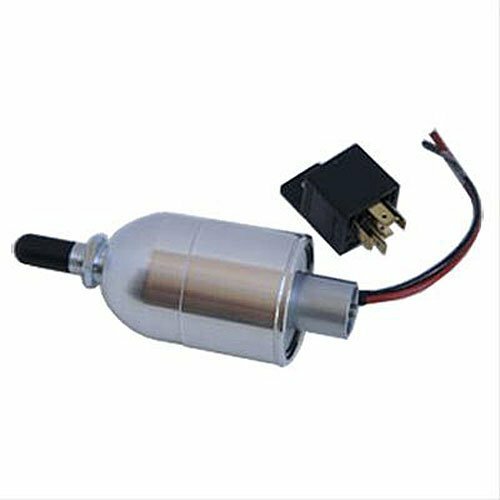 Biondo Racing Products PS-ELECKIT ELECTRIC SOLENOID KIT.